Your actual delivery date may vary due to the products availability as well as your delivery location and any unexpected weather conditions. Delivery times exclude weekends, and holidays. If you added prescription lenses to your order please allow an additional 1-5 business days for your order to process. All Washington State customers will be charged sales taxes as we are required to collect for the State of Washington. If purchasing from outside the US please note it is the buyers responsibility to determine if any Duties and Taxes will be assessed by the importing country based on current laws governing imports. The buyer will be responsible for any and all charges that your country may apply for importing a good into your country. 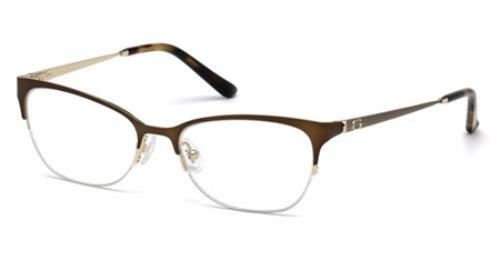 Any packages that is returned to our facility as undeliverable, or refused will be subject to a 20% restocking fee on the frame and the lenses are subject to the return policy. Any other fees associated with the return such as import duties or return shipment fees will also be deducted from the refund. If you request to have the item reshipped, we will invoice you for shipping. Orders shipping to apartments or addresses that have a unit number will ship with signature confirmation. All orders over $200 will also ship with signature confirmation. Young men and women can utilize Guess to put forth an innovative, fresh look. With youthful designs that are glamorous for an eye-catching display, Guess eyewear channels and individualistic approach to style when creating fun looks that are sure to stand out in a crowd. With a variety of styles to consider when looking for a compatible fit and flattering configuration, Guess eyeglasses and sunglasses are attractive and ready to make a statement.